Everbuild Quick Drying Wood Stain. Professional Quality low solvent wood stain. Enhances the natural qualities of wood. Crack peel & weatherproof resistant finish with excellent resistance to ultra violet light degradation. 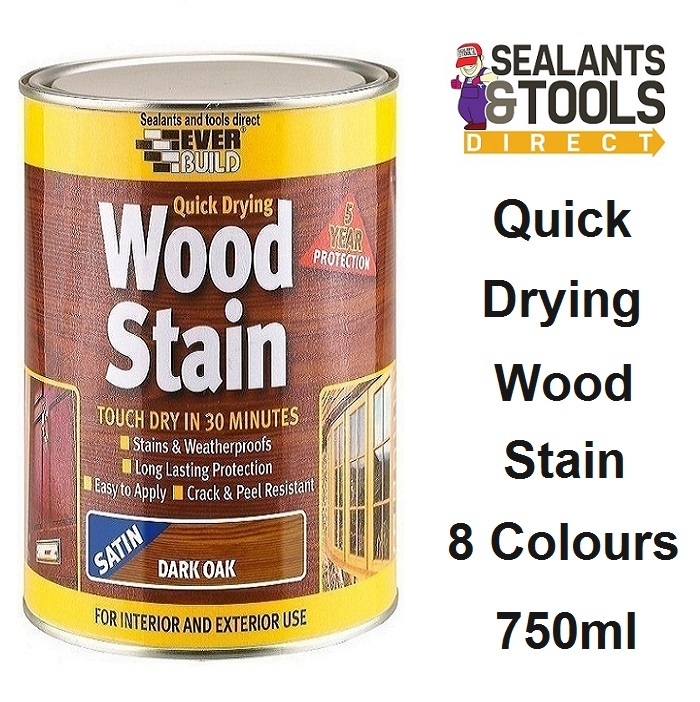 Ideal for use on smooth planed exterior and interior timber, such as doors, window frames, architectural timbers, conservatories, cladding & garden furniture etc. Under normal weathering conditions can be expected to provide protection for up to 5 Years. Touch dry in 30 minutes, overcoat after 4 hours.